Just outside of Perth, in a land of rocks and lochs, sits Scotland’s first tea estate. 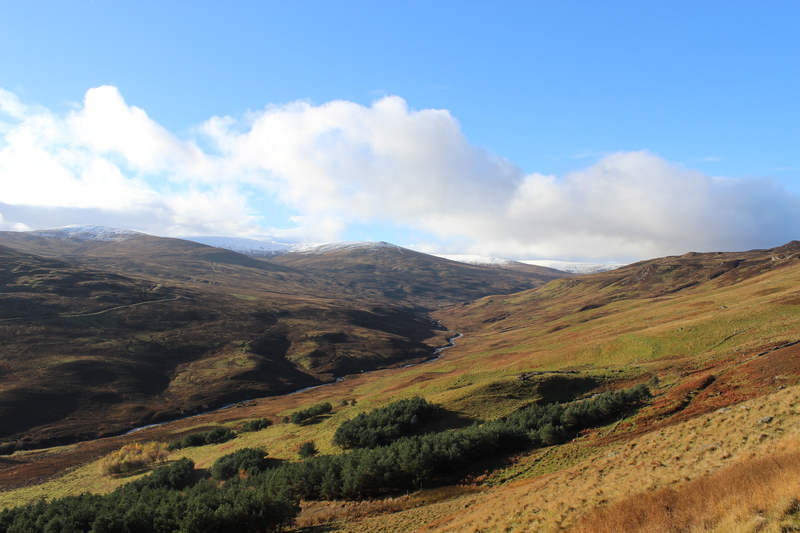 The three-year-old Highland plantation, formerly a sheep farm, sits on land steeped in history. Neighboring the Scone Estate, on ground once occupied by troops led by William Wallace in the name of King Robert the Bruce, The Wee Tea Plantation is Highland as Highland gets, with the exception of its flourishing Camellia sinensis plants. The Wee Tea Plantation is Highland as Highland gets, with the exception of its flourishing Camellia sinensis plants. Chemist and agronomist Tam O’Braan took it upon himself to cultivate a distinctly Scottish tea after working with farmers across the globe to combat drought, shorter growing seasons, cold climates, and other marginal conditions. He worked with local tribes in the Amazon, helping the Rainforest Alliance with reforestation, tackled an emergency recovery project after a massive US crop failure, and found himself in high demand in Australia, where water conservation is top of mind for a variety of farmers. The couple knew that appreciation for good teas was growing in the UK. Tam had first been exposed to specialty loose leaf through his friend, Edinburgh teahouse owner Jamie Russell. A celebratory tea, held by Jamie, followed Tam’s son’s baptism shortly after the couple’s homecoming. Tam also knew his skills at agronomy were second to none—he’d tackled harsh conditions on a much larger scale—and was confident that the Highlands could produce good tea. Despite Jamie’s early skepticism, and with the advice he eventually gave, born of twenty-one years in the industry, Tam began to mindfully manipulate the land. When the farm’s first flush arrived, in 2013, the team decided they had something special. They tasted quality in their tea, but weren’t sure others would find the same. The true test came earlier this year, with Wee Tea’s first substantial harvest. In 2014 the Wee Tea Plantation yielded 1,100 kilograms (more than 2,400 pounds) of high-grade Camellia sinensis, and 20,000 new tea plants were propagated for next year’s harvest. “It wasn’t going to make a dent in anyone’s tea stock until the plants got to a decent picking table, and that came big style this year,” says Tam. Dalreoch’s Strathbraan Glen, Scottish Highlands. Now Tam, Jamie, and Wee Tea sales director Derek Walker are cheerfully encouraging others to join the Scottish tea movement. With the formation of the non-profit Tea Growers Association, they hope to establish Scotland as a respected tea origin with a connected community of growers. 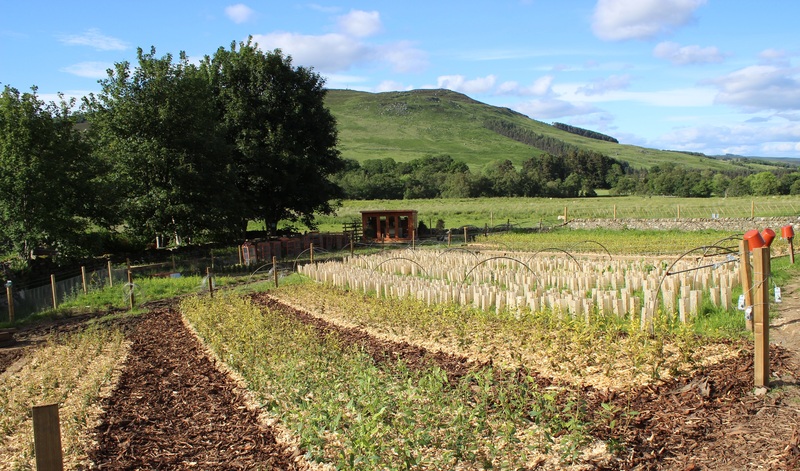 A second independent tea farm, Garrocher Market Garden in Dumfries and Galloway, is already well on its way to its first flush, while the nearby Scone Estate has enlisted Tam to tend its first plantings, with an eye on long-term growth. “We’re growing on a solid base of like minded souls looking for good quality,” says Tam. 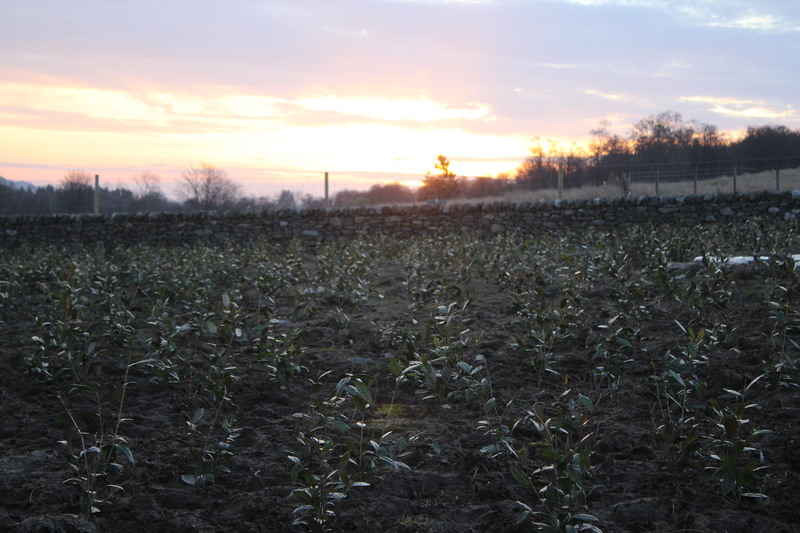 Tam calls Dalreoch, a mild white tea, a testament to the quality of the local soil. Scone, a smoked tea, plays to the region’s culinary and royal roots. Early morning at the plantation. Part of the secret has been starting slow. Wee Tea Plantation’s new plants are tended unheated, indoors for the first twelve months, and when planted outside they’re covered in a polypropylene mulch film to stabilize temperature. As propagated cuttings grow into new plants, the plantation’s yields are expected to double each year. If that luck rubs off, and it seems to be, the Highlands may soon be dotted with burgeoning tea farms, bringing a new tea origin to life, with a passionate agronomist at the helm. —Regan Crisp is Fresh Cup’s associate editor. Photos by Tam O’Braan.